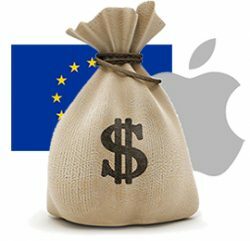 Ireland's government will this week formally submit an appeal against the European Commission's ruling that it must collect 13 billion euros in unpaid back taxes from Apple, according to Ireland's finance minister Michael Noonan. "The government fundamentally disagrees with the European Commission's analysis and the decision left no choice but to take an appeal to the European Courts and this will be submitted tomorrow," Noonan told a European Parliament committee in Brussels on Tuesday. Ireland agreed in September to join Apple in its fight against the European Commission, which in August said the iPhone maker received illegal state aid from the country. The ruling followed a three-year inquiry that found Apple paid between only 0.005% and 1% in taxes in Ireland between 2003 and 2014, compared to the country's headline 12.5% corporate tax rate. Ireland is looking to protect its tax regime that has benefited several multinational corporations, according to Reuters. Apple previously said it is "confident" the ruling "will be overturned" by European courts, but noted the process is "likely to take several years." Apple said it has "provisioned several billion dollars for the U.S. for payment," but it does not expect any near-term impact on its financial results. Apple insists it is "the largest taxpayer in the world" and "follows the law and pays all of the taxes" it owes in each country it operates. Apple CEO Tim Cook has described the tax accusations as "total political crap," and said the lower-end 0.005% tax rate calculated by the European Commission is a "false number." Greedy billionaires not wanting to pay taxes, nothing new. Can they pay in dongles? It's less about greed than being responsible with shareholders' investments. Apple is doing nothing illegal; they're abiding by Ireland's laws. Apple didn't make the laws, and they're not the only company taking advantage of it. Although I agree that Apple's tax rate in Ireland is unbelievably low, it doesn't seem like the approach the EU is taking here will be successful. Apple didn't get that rate because they actually need it to compete in Europe. They got it because they could. However cynical that may be, it's probably going to be difficult to prove as illegal per competitive practices. The EU isn't going after Apple. They are going after Ireland. The EU position is that the deal Ireland granted was contrary to EU law on state aid. Now Apple and other taxpayers aren't necessarily innocent victims here, there's a very legitimate argument that tax structures in place across a number of large multinationals lacks substance and artificially relocate profits and costs, but for now the EU case is solely against a member state for what it claims is a breach of state aid rules. Greedy government, starve the beast. Tell me. If I was a millionaire living in your neighbourhood and I employed 20 servants, a gardener, accountants, childminder, etc. etc. It could probably be said that I I bring in more jobs and money than you you do. Should I be able to avoid paying most of my taxes because of that? Ireland not wanting to collect should make everyone question their integrity. My opinion is Ireland is in too deep with several tax avoiders/evaders and are trying to save face. Since they just reduced the price they'll have to pay in even more dongles! They probably pay a lower proportion of their income in taxes than I. In fact it’s not probably, it’s definitely. Also I think you spent ba***rds wrong. All the other companies are paying 12% in Ireland. Apple was paying 1%. but they break and trample all over the intent of the law.